Experience royal care for your own skin. The Royal Palace hotel, decorated in the Art Deco style, is one of the most prestigious accommodation facilities in Slovakia. Slovakia is situated in the northern mild climate zone with Atlantic Ocean influence (western wind). It has four seasons (spring, summer, autumn, winter). The warmest month is July with an average temperature of 20°C, and the coldest one is January with an average temperature of -8°C. The average annual precipitation (including snow) ranges from 600 to 800 mm. The average amount of sunshine is 185 days a year. Slovak cuisine is hearty with strong rural roots, historically influenced by Hungarian and Austrian cuisine. It features mostly pork, potatoes, dumplings, concentrated sauces, and cheeses. Meat dishes in our region also include beef, goose, duck, and turkey. Fish dishes include mainly trout, carp, and other freshwater species. The most traditional soup is a sauerkraut soup, which is prepared from fermented cabbage, smoked meat, dried forest mushrooms, dried plums, and sausages. Other traditional soups include bean and lentil soups. A typical meal inspired by the Hungarian cuisine is goulash, stewed meat with potatoes and onions. Typical sweet dishes are strudels, leavened cakes, and buns. Our national meal is “bryndzové halušky”, which is a type of small dumplings made from potatoes, flour, and eggs, served with bryndza (a type of soft sheep’s cheese) and smoked bacon. Traditionally, the main meal of the day is lunch, as dinner is usually lighter. Men can be addressed as “pán” (sir) and women as “pani” (madam), and you can also add the surname. If you are in a closer relationship with a person, you can address them by their first name. Dining is rather formal. Before eating, wish your companions at the table “dobrú chuť” (bon appétit). The most widely used phrase for making a toast is “na zdravie” (cheers). When clinking glasses, look the other person in the eyes. When visiting somebody at their home, wear sensible clothes, as if you were going to work. By this gesture, you show respect to your hot. At somebody’s home, it is considered polite to eat everything you have on your plate, especially if the meal was prepared by your host. It is a good idea to bring the host a small present, such as flowers or chocolate. The host usually opens the present and if possible, will offer it to the guests. For meetings, make sure you are on time. The picturesque town of Banská Štiavnica is located in the Štiavnica Hills. It used to be the centre of the mining industry of Austria-Hungary and with its technical monuments, it has been included on the list of the world cultural and natural heritage of UNESCO. It features steep, winding streets, historic buildings, terraces with cafés scattered around the town, and beautiful views. A walk around the charming town is a good holiday tip. If you have more time, we recommend to also visit the historical sites, exhibitions, and the surrounding area. An unforgettable experience is a visit to the al fresco mining museum, one of a kind in Slovakia and Europe. In a mining coat, with a helmet and a lantern, you’ll experience first-hand the conditions in which miners used to mine for gold and silver here. Admire the beauty of the castle, rebuilt in the Neo-Gothic style according to the style of the French châteaus on the Loire. During the summer season, guides will accompany you in period costumes. You can also see a demonstration of birds of prey training and historical fencing in the natural amphitheatre at the castle. Have you heard about rafting on the Váh River? 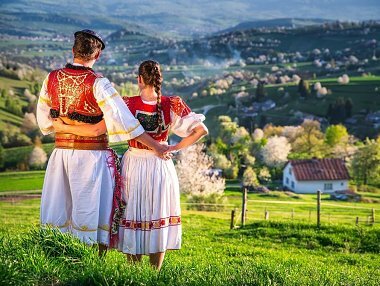 It has a rich history and tradition in Slovakia. The raftsmen will tell you all about it during a scenic, 7 km long cruise under the Strečno Castle. Fascinating views of the Starhrad castle ruin, the rocky Margita and Besná cliffs, the Strečno Castle, and the surrounding nature of the Malá Fatras from the Váh’s natural riverbed are among the most beautiful that the landscape in the heart of Europe has to offer. 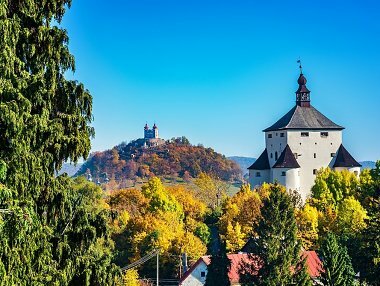 The spa town of Turčianske Teplice lies 200 kilometres northeast of Bratislava and 210 km north of Budapest. Thanks to the D1 and R1 motorways, which are within a 30-minute drive, it has fast transport connections for air and road transport. The ROYAL PALACE ***** hotel is a landmark of Turčianske Teplice. It is located in the centre of the spa and cultural and social events, right in the pedestrian zone and next to the spa park. Airport Budapest, Ferenc Liszt, INTL. Transfer: 2 h, 45 min. Transfer 3 h, 15 min. Stay 8 nights+ transfer from the airport free of charge. When arriving from Vienna / Prague / Bratislava / Budapest via the D1 / R1 motorway, take exit no. 82 and continue 35 km in the direction of Martin along road no. 65. When entering Turčianske Teplice, follow the direction signs. When arriving from Krakow / Ostrava / Žilina / Košice via the D1 motorway, take the exit in the direction of Martin and continue 30 km towards Žiar nad Hronom along road no. R3 / 18 / 65. When entering Turčianske Teplice, follow the direction signs. Periodical rail connection on the route Ostrava - Žilina - Vrútky - Martin - Banská Bystrica - Zvolen is provided by Železničná spoločnosť Slovensko. Between 6:00 a.m. and 08:00 p.m., an express train runs every 2 hours. The Turčianske Teplice railway station is 300 m away from the hotel. Slovakia is a member of the European Union and the Schengen area. 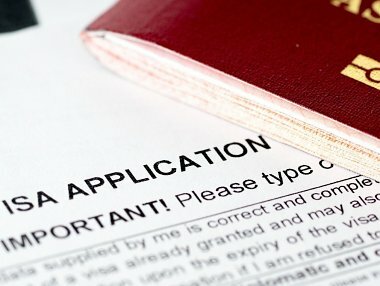 Visitors from outside the European Union are advised to inform themselves about the visa requirements at their local embassy. a voucher issued by an accommodation facility in the Slovak Republic with a stamp and signature of the authorised person. 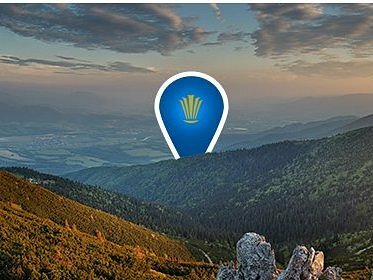 For more information on the visa policy for your country, please visit the website of the Ministry of Foreign Affairs and European Affairs of the Slovak Republic (www.mzv.sk). Do you have a scheduled treatment, business meeting, romantic dinner, or trip? We can provide comprehensive care for your child. We will prepare a programme for your kids and entertain them so that you can handle all your responsibilities without worry. If you are a fan of having an active lifestyle, you will love our exclusive fitness and gym. The spacious premises offer the latest cardiovascular equipment (treadmills, steppers, bikes). Our creative Concierge team will be at your disposal throughout your stay. The “first ladies of the hotel” will be happy to organise a trip for you, recommend a tour of the most beautiful cultural monuments, book a table in a restaurant, or otherwise meet your individual requirements. Our competent porter will take your luggage to your room, show you the available amenities, teach you to control the technical equipment, and park your car at the hotel parking space. The parked vehicles are monitored by CCTV. Free wireless high-speed Internet access is available throughout the hotel. Your room is equipped with an interactive TV that can be connected to your technical device (smartphone, notebook). Are you wondering what is the fastest and most comfortable way to get to us? Is time your priority? We offer transfers from airports as well as transport during your stay via the hotel’s luxury Mercedes S limousine with a driver. Enjoy a fast, safe, and comfortable ride. The ROYAL PALACE hotel is the venue of varied cultural and social events. At the Kursalón entertainment hall, you can enjoy performances by music bands and folklore ensembles as well as dance parties. Your evening at the Sissi Club will be accompanied by piano melodies. Do you need to print, copy, or scan documents, or have them translated? Did you forget your shaving set or hygiene items at home? No problem. The hotel reception is at your disposal 24/7. The standard services of our hotel include express personal laundry. Do you need fresh, nice-smelling, and representative clothes for a business meeting or a party? Consider it done! We will take care of everything reliably and discreetly. If you seek care-free relaxation without any unexpected problems, you will appreciate our non-stop emergency medical service. Should you experience any health problems during your stay, we will take care of you in the best possible way. The INCARE cardiology centre with its top staff is one of the best-known facilities in this field. Make use of the comprehensive cardiological examinations that it provides. Your heart comes first, and we will make sure it is okay. 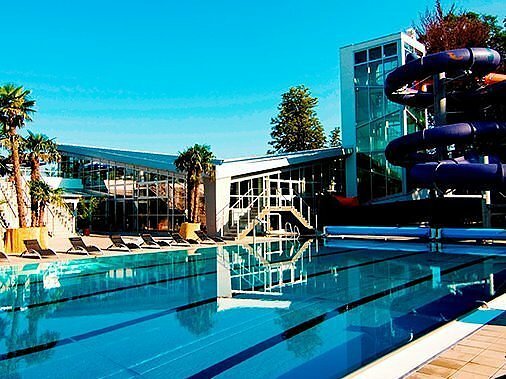 The hotel is connected to the Spa & Aquapark with swimming pools and water attractions. Due to the mineral water composition, the Spa & Aquapark is the only water park with a Golden Spring in Slovakia. The two swimming pools (Folk & Red Bath) are situated directly on thermal springs. Our social and conference premises combine the noblesse and elegance of the past with the equipment and services of the present. Feel free to join the good company that meets here. Royal events in royal rooms will bring you royal experiences. The first historically documented reference in King Ladislaus IV’s deed of donation, which states that natural thermal springs are found on the territory of Turiec. Sigismund of Luxembourg, King of Hungary, tries the beneficial effects of the thermal healing waters in today’s Royal Bath. The growing “Thermae Thurcienses” is visited by Emperor Maximilian of Habsburg. The Green Bath with a five-room guest-house is built above one of the springs, and the position of Head Spa Physician is appointed. Start of the planting of a spa park on an area of 14 hectares to create a green zone, where the spa guests can go for a nice walk. The Green Bath is replaced by a new landmark of the spa and the town – the Blue Bath. 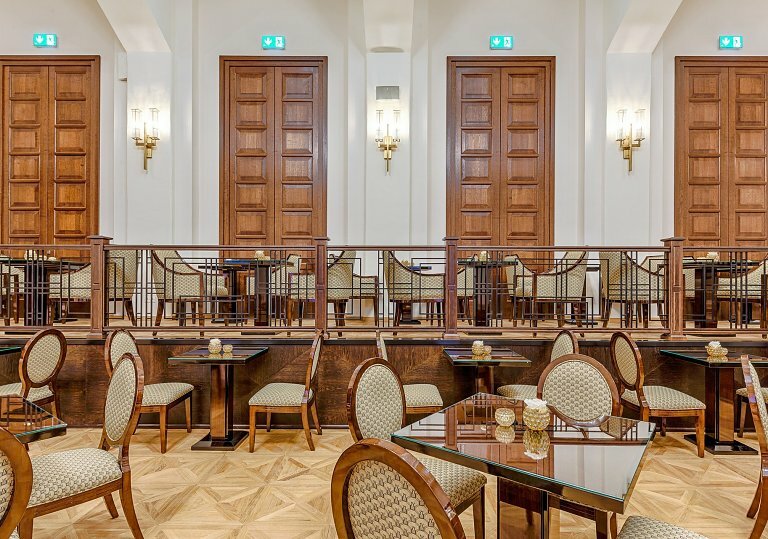 Opening of the Elisabeth (Erszebet) Spa House, named after Empress Elisabeth of Bavaria, the wife of Franz Joseph II and also known as Empress Sissi, who comes to the spa after the house is completed. The Turčianske Teplice spa becomes part of the state spa programme, and several new spa houses are constructed. Start of an extensive reconstruction of the national cultural monument Kollár’s House. The spa houses Malá Fatra and Blue Bath are reconstructed and interconnected, and the result is the new luxurious ROYAL PALACE ***** hotel, a new landmark of the spa town. The ROYAL PALACE ***** hotel opens its doors to the first visitors. The hotel’s elegant design underlines its historical roots and refers to the high society that has been visiting the spa for centuries.